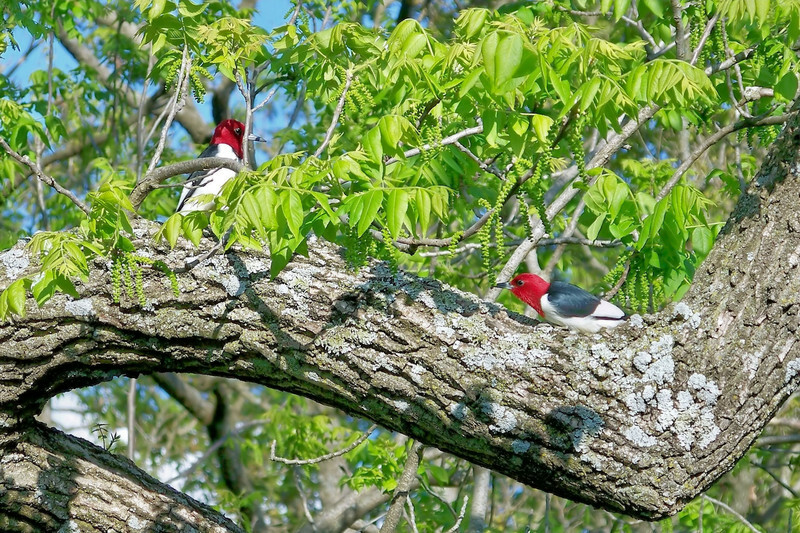 Red-Headed Woodpeckers that have the ability to catch insects in the air. 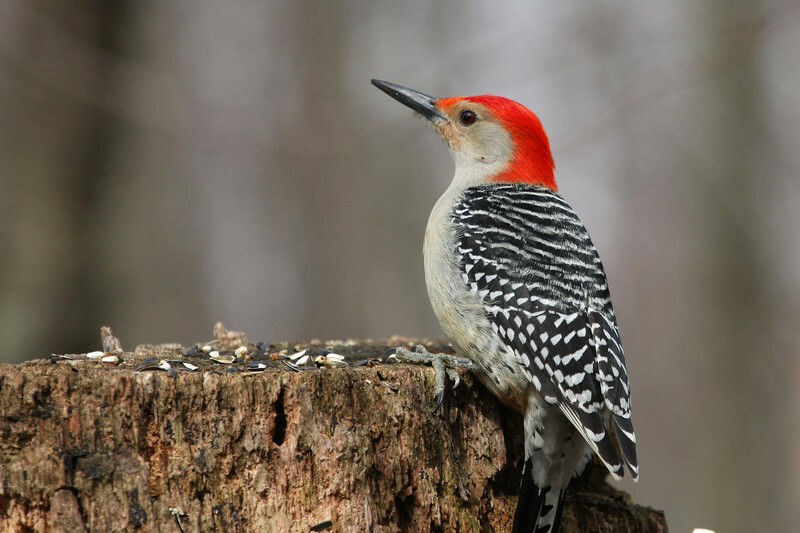 Populations of this woodpecker have declined significantly in recent years. These woodpeckers are very common in Minnesota.Red-Bellied Woodpeckers that feed almost exclusively on insects found in and on the trees. Downy Woodpeckers will even hang upside down on the trees to reach the seeds and insects that they eat. They can often be found on bird feeders in backyards, especially enjoying the suet feeders. 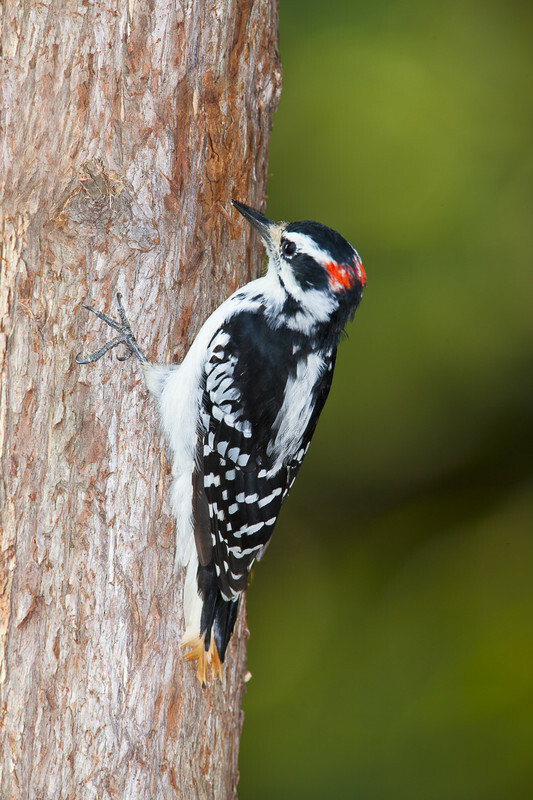 The Hairy Woodpecker is often confused with the Downy Woodpecker, but it is larger with a much longer bill. While they also enjoy backyard suet feeders, they will also be found at the base of trees searching for grubs and insects. 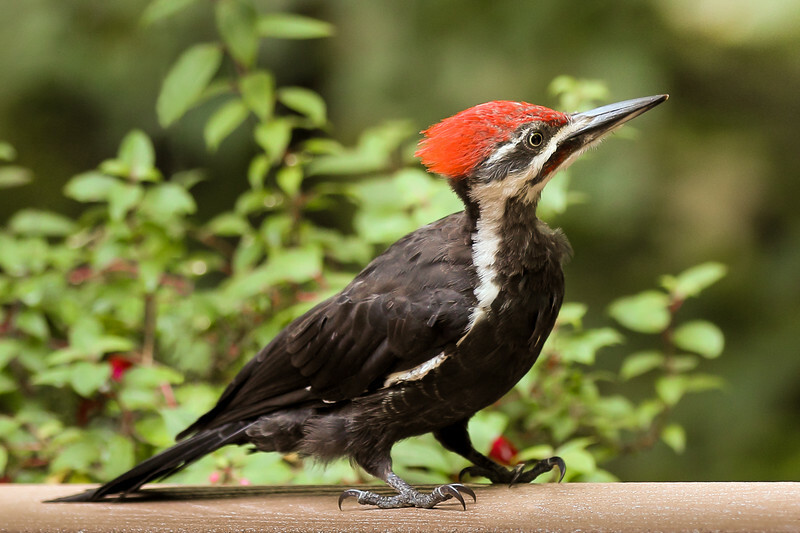 Pileated Woodpeckers are the largest of the woodpeckers of Minnesota and love to feast on the carpenter ants found in dead and decaying trees. 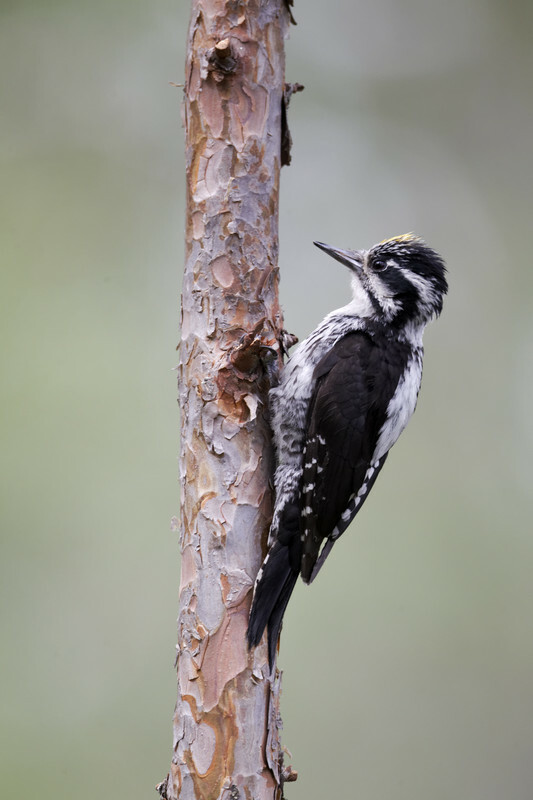 The large nest holes made by these woodpeckers are often used as shelter by other animals including owls and bats. The American Three-Toed Woodpecker is one of two woodpecker species with three toes rather than four. This is a great example the genetic diversity God placed within the woodpecker species, allowing it to adapt to changing conditions. 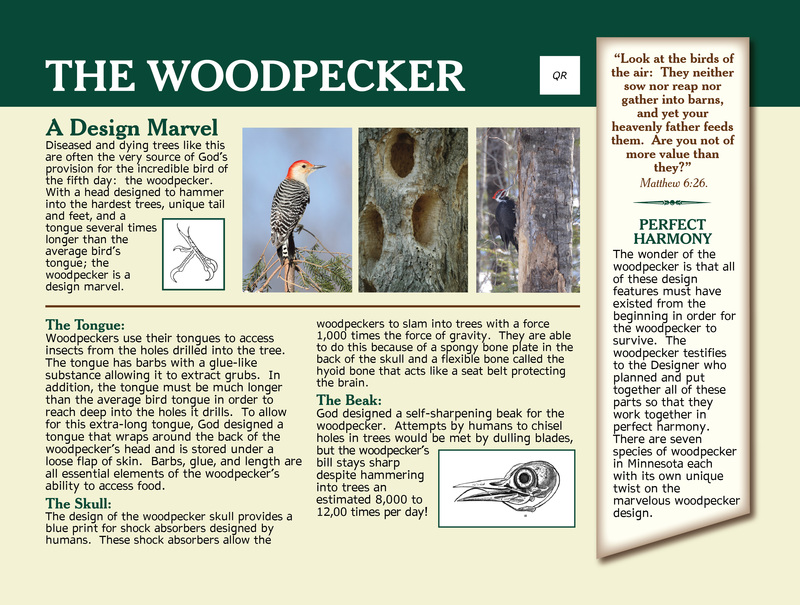 This woodpecker is not likely to be spotted here at the ranch and, in fact, is rarely seen by people because of its choice of habitat in the boreal forests of the north. The Black-Backed Woodpecker is the other three toed woodpecker, it too lives in the coniferous forests of the north and are unlikely to be found at the ranch. They are particularly fond of areas that have burned over and the wood-boring beetles that feed on this burned wood.